Everything you are looking for! 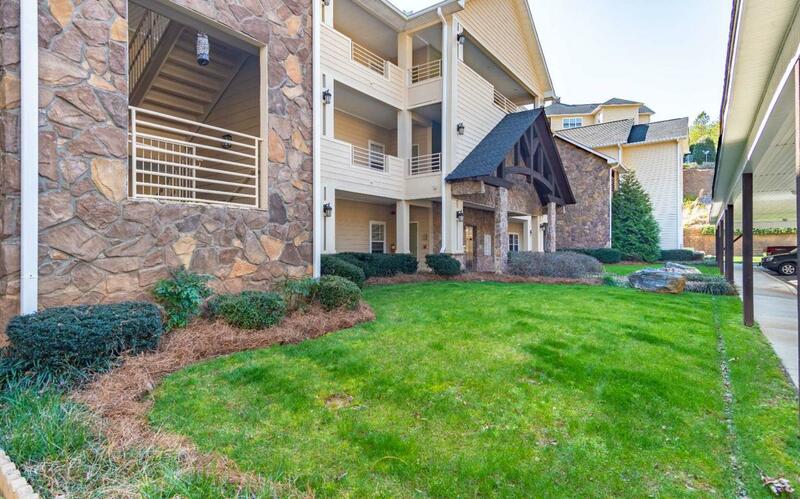 This immaculately maintained 2br/2ba oversized condo is on the ground floor, fronts the golf course & is a corner unit! This unit features an open floor plan w/ wood floors throughout (carpet in living room can be removed). Kitchen has upgraded appliances & beautiful solid surface counter tops. Living room features stack stone gas FP & sliding glass doors opening to the screened in porch & covered patio overlooking the #2 fairway. Large master suite features private bath w/ 2 vanities, jetted tub & walkin shower. Extra large master BR closet has custom shelving. Second BR provides ample space for guests or private office. Nice sized laundry room off foyer has upgraded W/D & large storage closet. Carport parking provided. Condo sold furnished. Great location!! Short drive to Downtown Clayton. Easy drive to/from Atlanta, Highlands NC, & Greenville/Clemson SC.